Barkhad Abdi's success isn't going to be his alone. The Oscar-nominated "Captain Phillips" actor is already looking at ways he can take his newfound Hollywood fame and help others, he tells Parade magazine. 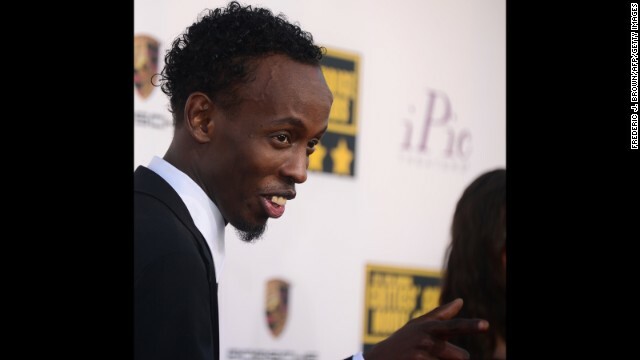 The actor, who was born in Somalia and moved to the States as a teen, has plans to work with a humanitarian organization called Adeso, which aims to change the ways people think about and give aid to Africa. "Adeso is an NGO organization that a good friend of mine works for," Abdi tells Parade. "I had read about them and they’re trying to make things better. They’re trying to look for jobs for people and helping them. I totally respect them. My friend approached me and I chose to work with them." In "Captain Phillips," Abdi portrays one of the Somali pirates who hijacks a vessel manned by - you guessed it - Capt. Richard Phillips, who's played by Tom Hanks. The film, directed by Paul Greengrass, is based on a true story and is nominated for the best picture Oscar at this year's ceremony. Abdi, of course, is also in the running for the best supporting actor Academy Award, an accomplishment made all the more special by the fact that "Captain Phillips" was his debut role. And while he's thinking about the future and how this awards season could impact his acting career, he's also hoping he'll be able to take his success and share it with those in need. "I want to be able to use what I’ve become here to give back and help with the problems in any way possible," Abdi says. "I’m going to start with Adeso and see how far it gets."